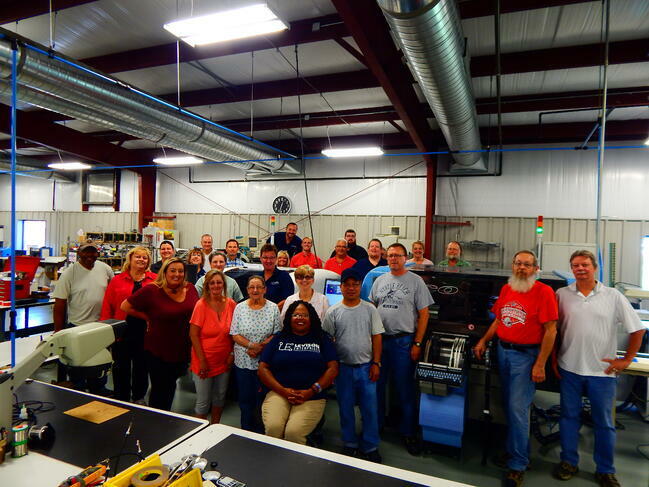 Levison Enterprises has spent countless hours not only becoming experts in the electronics manufacturing design and production process, we have made an equal commitment to mastering the art of quality production and customer service. Today’s consumers are more demanding than ever and expect companies, even small and mid-sized ones, to turn around products quickly. Having a trusted partner can help you achieve your business goals while delivering quality products that will keep customers happy and inspire loyalty. Here are some of the attributes we feel that set Levison Enterprises apart. Companies typically have two options when choosing electronic manufacturers: domestic or overseas. Foreign labor is generally cheaper, and several countries offer incentives like minimal taxing, to encourage more business. On the other hand, foreign countries may not have stringent intellectual property laws or quality assurance systems. Businesses have no way of knowing if someone is using their idea and replicating it elsewhere. Lack of quality control processes may also mean your product may contain unapproved or non-conforming parts. Levison Enterprises becomes your partner through the entire design and manufacturing process. We maintain the highest quality standards and work to make our processes both cost effective and efficient. Our business continually employs industry best practices so we can deliver superior quality products while adhering to our stringent quality and on time delivery demands. One of the biggest ways companies can save money with an electronic contract manufacturer is through use of state of the art equipment and quality processes. Technology evolves quickly, making it difficult for smaller businesses to stock their product floors with up-to-date equipment. Levison Enterprises is in the business of design and production, so we’re continually seeking out opportunities to improve our process and equipment. This means you can leverage our equipment and capabilities without ever worrying about keeping pace with production technology again. We also save you time and money by employing an in-house design and engineering team who will optimize the production process while identifying any potential problems. Our employees have years of experience in the industry, and can often recognize potential problems before your project goes into large-scale production. Take advantage of design for manufacturing analysis, prototyping and other processes to ensure you’re delivering a quality product to your customers. Our attention to detail and troubleshooting will save you time and money throughout your product’s entire lifecycle, not just the production process. Once your product gets into your customer’s hands, a lot of electronics manufacturing companies consider their job done. That’s not Levison Enterprise’s philosophy. If an issue arises, we can troubleshoot the issue and address the root cause. This saves a lot of time and money. Count on us to provide a speedy turnaround and improve your customer service. We can also help eliminate some of the mundane production tasks like packing, shipping, and processing. This creates a shorter production timeline and gets products into your customer’s hands faster. There’s a common misconception that domestic labor and manufacturing is too expensive for small and mid-sized businesses. Levison Enterprises proves that idea wrong by providing superior labor and production at affordable prices. You get to avoid the common hiccups of overseas production – like miscommunication, time zone differences, and lack of quality assurance – while enjoying its main benefit – lower cost. With Levison Enterprises as your electronics contract manufacturing partner, you truly can have the best of both worlds. If you are looking to partner with an electronics manufacturer with high quality standards, contact Levison Enterprises for a free quote on your next project.